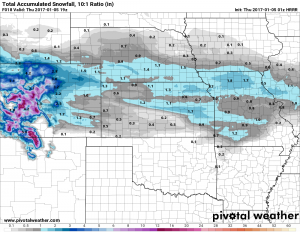 Evening Storm Update: Is It a Bust? over the Salt Lake City area and pushing into western Colorado. midnight. Due to this, will not be adjusting snowfall totals. That’s Nice To Hear What the NWS Thinks, but What Do I Think? If you’ve followed along here for any period of time, you know that I make my own forecasts. Some times I agree with the NWS and my forecast matches theirs quite closely but sometimes I deviate a bit based on what I perceive with my instinct or what I believe based on our terrain or other features in Castle Rock. 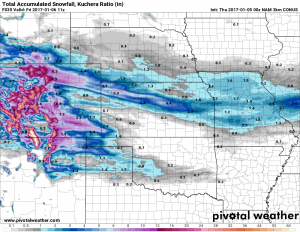 As of right now I believe the NWS in that this next piece of energy has the potential to dump enough snow on us to meet our forecast 5-10 inch range in Castle Rock. The SREF ensemble (a produce that factors in a bunch of models and averages them out) has been very insistent on decent snowfall along the Palmer Divide. The latest run came out at 2PM and slightly increased snow totals. Now the maps are all numerical/operational models so they don’t show the entire spectrum of each model but if we take all of them and average the snowfall amount out (treat them like an ensemble) we get a mean of 4.25 inches of snow for the Castle Rock area through Noon on Thursday. 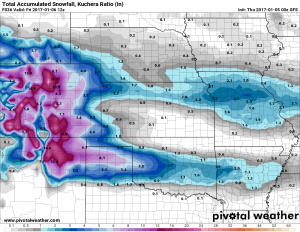 So with that information and considering a drier and fluffier snow may bump that number up slightly, I’m not prepared to change the forecast just yet. The 5-10 inch range for storm total accumulation is still valid for Castle Rock at this time. 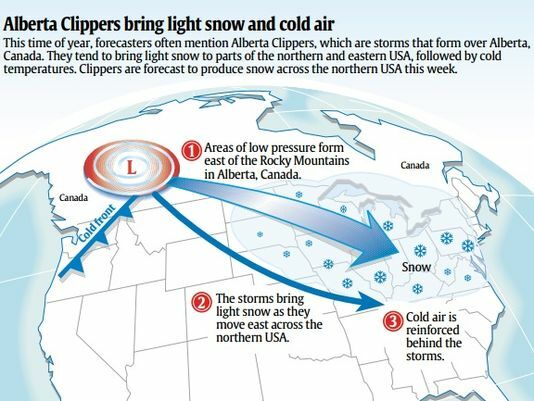 So for now we are not changing our initial forecast but there is a lot of uncertainty. Even with the uncertainty we can’t call the storm a total bust until we see what happens tomorrow morning. 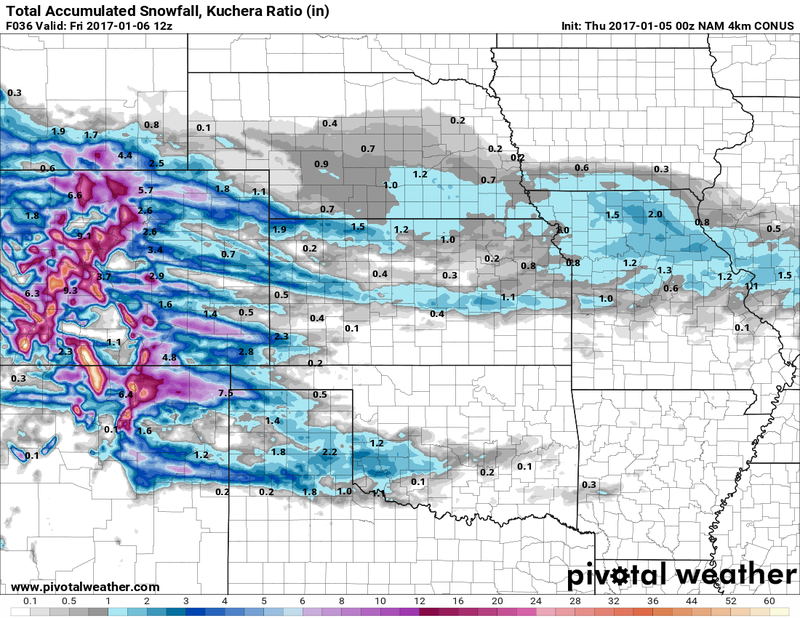 There is equal probability at this point that we make the 5-10 inch range or we bust out much lower, but it’s too early to make that call. 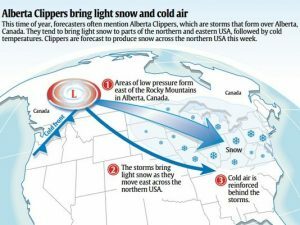 These Northwesterly “Clipper” type snow storms are among the hardest to predict in Colorado. Their ability to produce narrow snow bands means some areas may see a ton of snow while others only a few miles away get much less. 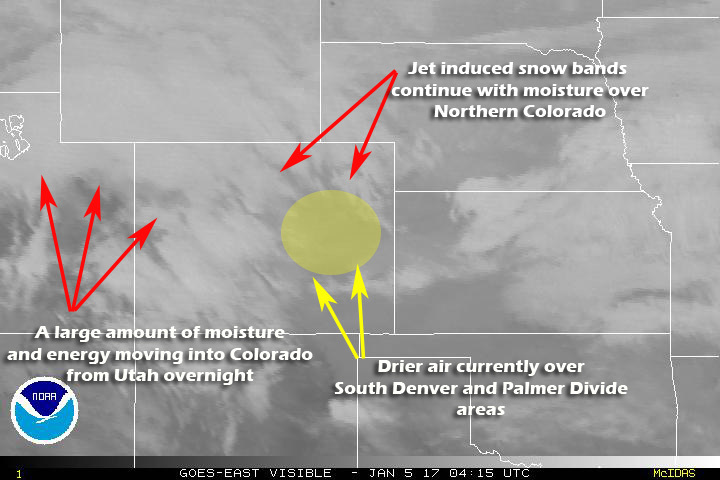 This could be the case for us along the Palmer Divide this evening, the snow bands are favoring areas North of Denver at this time. We have to wait and see if those bands move South (like our early December snow storm) or if they miss us completely.